This hollow out structure has been additional embellished with sensible red CZ stones. 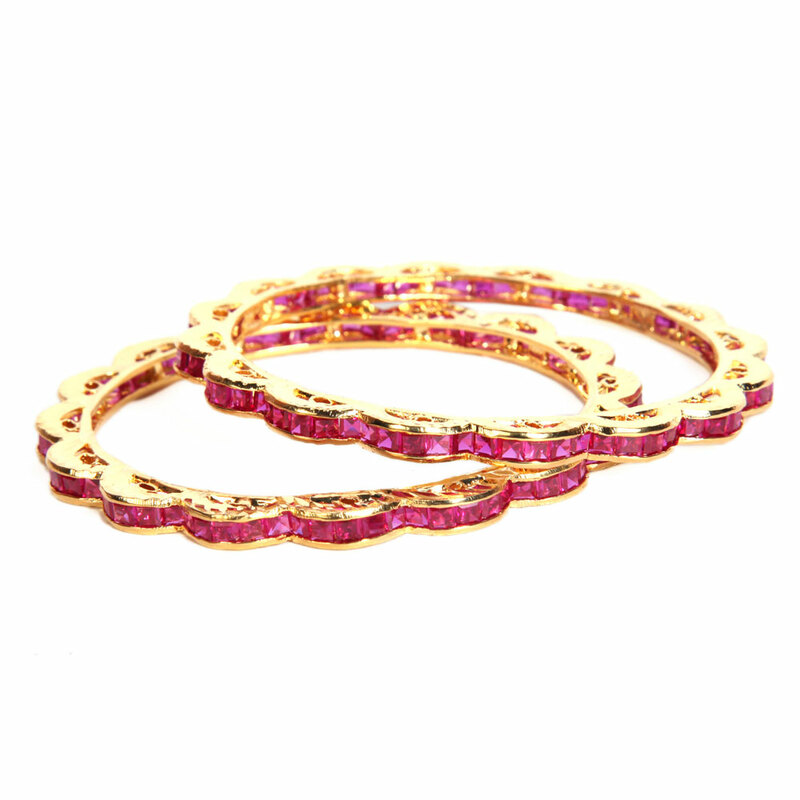 This pair of magnificent designer bangles supports a two tiered look thanks to the plain metal base of gold plated brass on the top of Read More..which has been affixed a wavy structure crafted from the same metal. This hollowed out structure has been further decorated with brilliant red CZ stones. Show Less..